RUSH: Very quickly, the Calvin Broadus story. Calvin Broadus is a well-known rapper using the stage name Snoop Dogg. Snoop is… he’s out there. He’s on the fringes. In terms of manners, culture, refinement, those don’t apply here. And Snoop Dogg is very proud of this. Classic member of the rapper community. I don’t know where he comes down on the East Coast versus the West Coast gang. Was he a friend of Tupac’s or not? (interruption) He’s a West Coast guy? Snoop’s a West Coast guy, so he might have been a friend. Of course, Tupac died a one pack. Anyway, Snoop Dogg did a video with clowns, people dressed as clowns, and one of the clowns was an impressionist of Donald Trump. 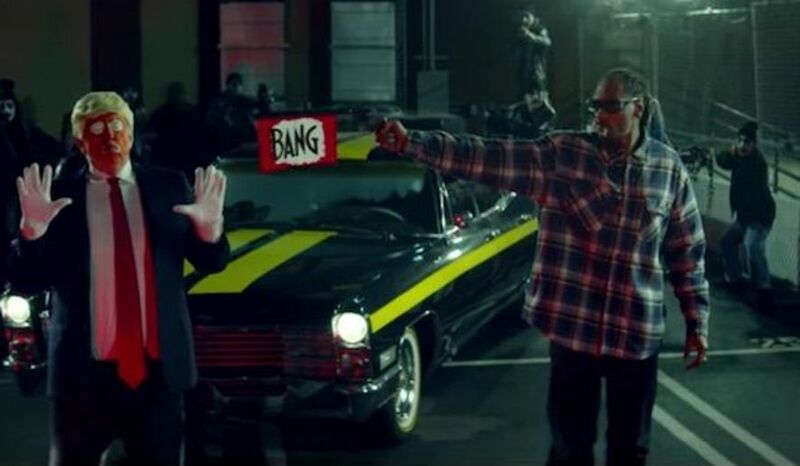 And Snoop Dogg had this clown shot, not with a real gun. It was a gun that fired a flag that said, “Bang bang, you’re dead” or some such thing. But clearly the implication was that it was great, great rap impresario, great humor here, great performance art to assassinate Donald Trump, even though he used a flag gun and this kind of thing. Well, Trump reacted to it and called Snoop Dogg out on this, which of course Snoop Dogg loved. And the nephew of Calvin Broadus is another rapper that goes by the name of Bow Wow, and Bow Wow was very offended when his uncle Snoop Dogg was criticized by the president. So what Bow Wow did was essentially warn Melania Trump to be very careful because they were gonna pimp her out. We’re gonna pimp Melania out. That’s the nephew of Snoop Dogg, a guy by the name of Bow Wow. I don’t know what his real name is. I could find out. I just haven’t made the effort. So you got pressure from all sides on what people think that you ought to do. Meanwhile, the way it used to happen, these things would cause public shame and public disapproval. Today you are heralded and applauded by the leftist pop culture for bravery and courage and refusing to be cowed and feared by a phony, fake authority or something like that.